The second half of the Junior Football season got off to a great start last Saturday. Better weather enabled all local clubs to play, and win – except for a frustrated Penicuik Athletic, who saw their third round tie of the Emirates Scottish Junior Cup away to Super League Kelty Hearts postponed for no less than the eighth time. The fourth round ties are due next Saturday (January 19) as Penicuik await this coming Saturday’s verdict on the state of play at Kelty. Arniston Rangers welcomed East Lothian visitors Dunbar United in the South League but the Seasiders were a goal down after only three minutes as Arnie raced ahead to win 4-0. Super League Bonnyrigg Rose welcomed in the New Year with a stunning 5-3 away win at Hill o’ Beath – their fifth goal, scored by Kris Renton, is the Rose’s 50th strike of the season. Now the Rose go for three league wins in a row on Saturday at home to promoted Broxburn Athletic. With Rose keeper Mark Weir off to the USA, David Peterek could be in the No. 1 jersey. Arguably “match of the day” on Saturday will be the delayed second round tie in the Fife and Lothians Cup at New Victoria Park, where Premier League toppers Newtongrange Star will be at home to second top Ballingry Rovers. Star’s 5-1 win on Saturday keeps then in pole league position and saw them complete a league double over Athletic. Dalkeith Thistle will be at King’s Park on Saturday to welcome visiting Central League’s Lochgelly Albert in a first round tie of the Fife and Lothians Cup. 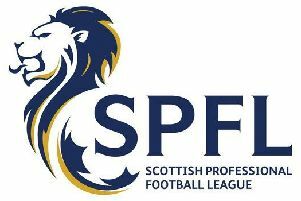 The winners will gain a home tie against Armadale Thistle in round two. Dalkeith followed their 4-3 home win over Broughty Athletic on the final Saturday of 2012 with a fine 2-1 away win at Glenrothes on Saturday. Arniston Rangers are due to head for the “Heart of Scotland “ on Saturday for their next South League match calling on Harthill Royal. Match reports in this week’s Advertiser.